Smart watches and other wearable devices could be the next frontier of brand-consumer interaction. But first, marketers need to figure out how customers intend to use them. According to new research from customer engagement agency Accent Marketing, nearly 70% of consumers are open to brand communications through a smart watch or other wearable technology device. As wearable technology becomes more mainstream, it could become as much a channel for customer engagement as social media or mobile. 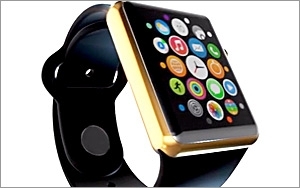 In the online survey of 1,000 U.S. adults (18-60) in February 2015 who said they planned to buy a piece of wearable technology this year, three-quarters of Millennials viewed wearable technology as a new way to engage with consumers, and half of the respondents — regardless of demographic — said they would buy wearable technology so brands could have more insights into their lifestyle. Right now, fitness and health tracking looks to be the first point of entry for most consumers into wearable technology. More than two-thirds (68%) of women and 56% of Baby Boomers are most excited about fitness-tracking devices. A little over a third of men (38%) were excited about smart watches. The key to connecting with consumers via wearable technology will depend largely on marketers understanding how consumers use the devices to enable meaningful connections, Huff says. For instance, 74% of consumers think wearable technology will change the way they engage with fitness providers and 22% say it will change their in-store and online shopping practices. But it’s what marketers haven’t yet discovered that holds promise, Huff says. He put forth a scenario in which a health care provider uses wearable fitness data to offer financial incentives, much as insurance companies do with devices that attach to cars. “Instead of monitoring your car, it’s monitoring your actual life,” he says.